The vanity area is where many of our customers start and end their days. A beautiful, custom-designed vanity mirror is the perfect accompaniment	to the makeup or wardrobe section of the master bedroom and bathroom. At	Blossom Hill Glass, we work diligently to ensure 100 percent customer satisfaction with all	of our custom glass products, including our high-quality vanity installations. 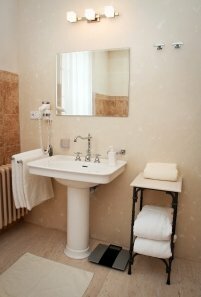 Our vanity mirror services are unbeatable, and we will work hard to uphold	the timeless tradition of an elegant and stylish vanity area. Receive a free estimate when you call! Are you ready to install your custom vanity mirror? Whatever your budget	or design preference is, our team can work with you to make sure we fulfill	all your requests. Customer satisfaction is our priority! For help with your vanity design project, or to discuss all that Blossom	Hill Glass has to offer,	give us a call at (408) 629-7500	.